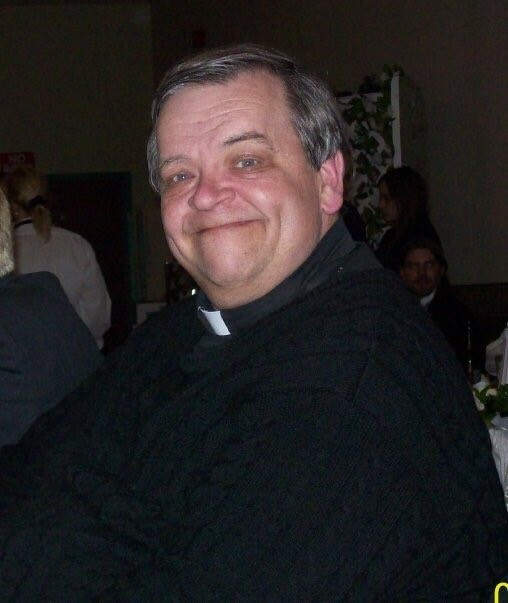 WORCESTER – Father Robert E. Kelley, 67, died Friday, March 29th at the Life Care Center in Auburn. He will be greatly missed by all that knew and loved him. He leaves two sisters, Elizabeth Romano of Fitchburg and Sharron Kelley of Fitchburg, two brothers, Kevin Kelley and his wife, Deb of Fitchburg and Shawn Kelley of Leominster; nieces and nephews, Kelley Branch and her husband, Stephen of Fitchburg, Dianne Norton and her husband, Scott of Fitchburg, Bryan Kelley and his wife, Rebecca of Harvard, Matthew Kelley and his partner, Casey Fiola of Worcester, Samantha Leahy and her husband, Will of Fitchburg and Ian Kelley of Leominster; great nieces and nephews, Scott Norton, Casey Norton, Gianna Norton, Lillian Norton, Lucas Norton and Amelia Leahy. He also leaves two aunts, Eleanor Stern of Fitchburg and Marilyn Marino of Royal Palm Beach, FL. He was born in Fitchburg and is predeceased by his parents, Edward P. and Mary A. (Marino) Kelley, a sister, Maureen Kelley, a brother-in-law Richard Romano and a sister-in-law Christina Kelley. He graduated from Fitchburg High School in 1969, then graduated from St. Thomas Seminary in Bloomfield, CT in 1972 and then St. John’s Seminary in 1979. He was ordained a priest by Bishop Bernard J. Flanagan on November 10, 1979 in Saint Paul’s Cathedral. He was an Associate Pastor at St. Leo Church in Leominster from 1979 to 1984, then an Associate at St. Brigid Church in Millbury from 1984 to 1988 and also from 1993 to 2001 and an Associate at St. John’s Church in Clinton from 1988 to 1993. Father Kelley retired for health reasons in 2001 but continued to help in various parishes in the Diocese of Worcester while living in residence at Our Lady of Lourdes Rectory. Family and friends will honor and remember Father Kelley’s life by gathering for a time of visitation on Friday, April 5th from 4 to 7 p.m. followed by a Vigil service at 7 p.m. at Our Lady of Lourdes Church, 1290 Grafton St. in Worcester. His funeral Mass will be celebrated at 10 a.m. on Saturday, April 6th in Our Lady of Lourdes Church. Burial will be private. In lieu of flowers, memorial contributions may be made to the American Cancer Society or Our Lady of Lourdes Parish, 1290 Grafton St., Worcester, MA 01604.